What a great street shot! I love these two characters. 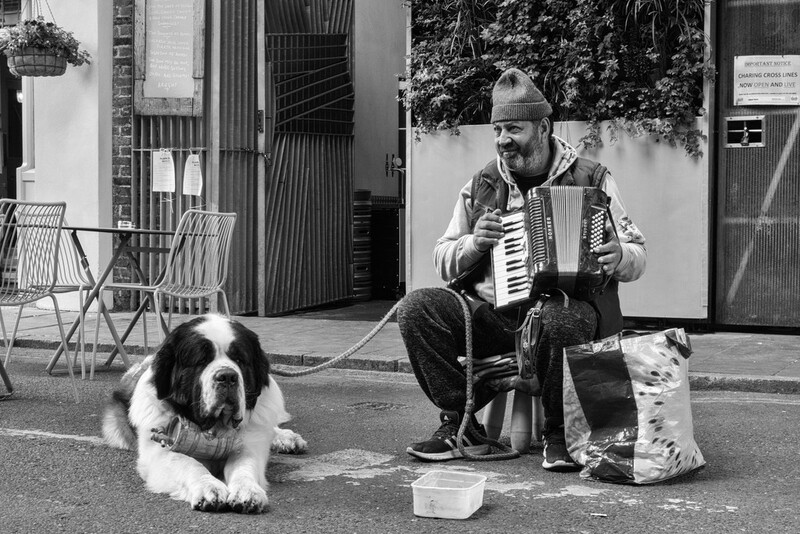 Very nice B&W street image. Great caption and nice photo!